You knew all those walkies would be good for you – well now there’s some proof of the positive effects owning a dog can have on your longevity, in the shape of findings of a Swedish experts’ report, published in the Journal of Scientific Reports. Being a dog owner reduces your risk of contracting cardiovascular (heart) disease, or CVD, the scientists found, after analyzing the results of several previous studies into the subject, but which had, in themselves, been unable to establish a definitive link. These findings should be especially welcomed by our readers, especially as CVD was responsible for more than four million deaths in Europe in 2016 – that’s 45% of all fatalities. Previously, American heart specialists have played down any links between dog ownership and a reduced risk of heart disease. The closest the American Heart Association has previously come to acknowledging the link being in 2013, when it said: “Dog ownership is probably associated with decreased CVD risk”, before going on to stress the limitations of previous studies, including low response rates which made it more difficult to draw any positive conclusions. This latest study, reported in the journal Nature, aimed to get around those limitations by widening its scope to take in 3.4 million adults, and following their progress over no fewer than 12 years. The participants were all aged between 40 and 80 on January 1 2001, and the study deliberately excluded younger people, as these were generally at lower risk of developing heart disease, and anyone over 80 years of age, who were less likely than average to be dog owners. With an average participant age of 57, of which 52% were women and 48% men, it was found, perhaps not unexpectedly, that those with at least one dog usually lived in areas of lower population density. So they often made sure that they had enough space in their neighborhood to have plenty of opportunities to take regular walkies, meaning that they had a head start over their non dog-owning compatriots when it came to the availability of regular walking routes and the like. As every dog in Sweden has been legally required to have a unique identifying ear tattoo or chip since 2001, it has been much easier for the country’s authorities to track a higher proportion of the country’s dogs. 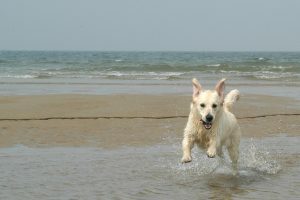 When you see just how much dogs love splashing in the sea, and how good the exercise is for them, you can surely appreciate how good it is for you to take your own pooch with you on that vacation. Again, this is no great surprise, but those surveyed who owned a breed of dog traditionally associated with hunting – terriers, retrievers and many types of hound – were found to be at the lowest risk of CVD. The researchers were also interested to find that, not only did owning a dog reduce their sample’s risk of contracting the most serious forms of heart disease, they also found that “ownership of all purebred breeds were associated with a lower risk of all-cause mortality”. In other words, dogs don’t just reduce your risk of serious heart-related illnesses, they also make you less susceptible to all other kinds of serious and potentially fatal conditions. While again the survey’s authors hedged their bets somewhat, they also concluded that dog ownership is also beneficial for people in a number of ways directly associated with reducing the risk of CVD. So there you have it – owning a dog forces you to have more social interaction with your fellow humans, which in turn means that you are less likely to fall prey to many of the common factors which cause heart problems. For example, your reactions to a stressful situation are likely to be less pronounced, and your blood pressure is likely to return to normal more quickly soon after you have undertaken significant physical activity. Being in a single household, and so having total responsibility for fulfilling your dog’s feeding and exercise needs, was, found the scientists, also likely to cut your stress levels and risk of heart problems far more than if you share the responsibilities involved in pet ownership. 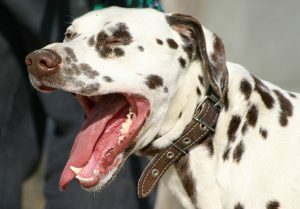 Keeping a dog active, and not letting it get bored, goes a long way towards protecting its own welfare, as well as yours. And what about the benefits of bringing your dog on vacation? You might look on your vacation time as a chance to relax without having to undertake all those regular dog-related duties, such as feeding and walkies. But then, would you be as active on your vacation if you didn’t have a ready-made excuse for taking long walks in the beautiful weather, and using it as a chance to explore some new surroundings? And with statistics showing that your risk of contracting CVD triples with every decade of your life, then you might well appreciate a solid reason for keeping yourself active. That’s the thinking behind why many Citizenshipper customers regularly come to us to find someone happy to transport their four-legged friend(s) between their main residence and their vacation home. Spending an extended time away from your regular home is great for recharging, and removing yourself from the stress that commonly builds up when you’re working often long hours. And if you have your pet with you, you can keep an element of the routine which gives some structure to your working days, but by varying the rest of your time, you then get the relaxation you need. 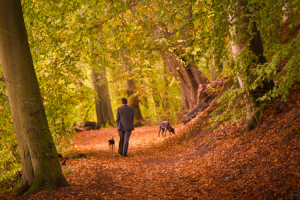 Having a pet with you, though, means you don’t fall into the trap of becoming too sedentary on your days off – and so potentially undoing some of the benefits which you get from owning (and taking regular walks with) a dog in the first place. Like humans, every dog enjoys the chance for a change of scenery every now and then, especially if includes the prospect of finding some exciting new places which they can explore off the leash. Whether you’re heading off on your summer sojourn, or are already planning your getaway to a winter retreat, having your dog with you will make it feel just like a home away from home. If you compare the cost of hiring a pet-sitter to come in and feed and walk your pooch every day, alongside that of hiring someone to transport your four-legged friend from door to door and let them enjoy your vacation too, then you really have to ask which is better for them. And the answer is likely to be that they’ll be far happier having you around, and taking them for walkies, than spending just a half-hour each day in the company of a comparative stranger who’ll walk them, feed them, but then just leave them alone for the rest of the day. The benefits of owning a dog may be clear, in terms of the extra reason it gives you to get out into the open air. But why then deprive your four-legged best friend of the quality time that you get from this relationship when you’re away on vacation? Having a certified pet shipper transport them direct to you will relieve you of the stress of having them travel with you, meaning you arrive at your vacation spot ready to unwind. And you can arrange with your pet shipper a convenient time to have them delivered to you, so they can arrive after you’ve got all your unpacking sorted, and share in the benefits you get from your well-earned break. And of course, it’s just as easy to arrange the same journey in reverse for the trip back home, and many CitizenShipper drivers will happily arrange the two trips together, so that everything is looked after in a single booking. CitizenShipper is a modern-day delivery service to reflect the way we live our lives today. So if you spend your time hopping between various bases, and want to have your four-legged friends with you to also enjoy the change of scenery, it’s a cinch to post your shipment request! Finding somewhere new and interesting to take your dog on a long walk helps prevent them from getting bored, and makes them appreciate the open air. This entry was posted in Uncategorized and tagged dog shipping., live longer with a dog. Bookmark the permalink.